Make a statement at your bachelorette party with a custom glow-in-the dark design. Add the bachelorette name and some fun party art. 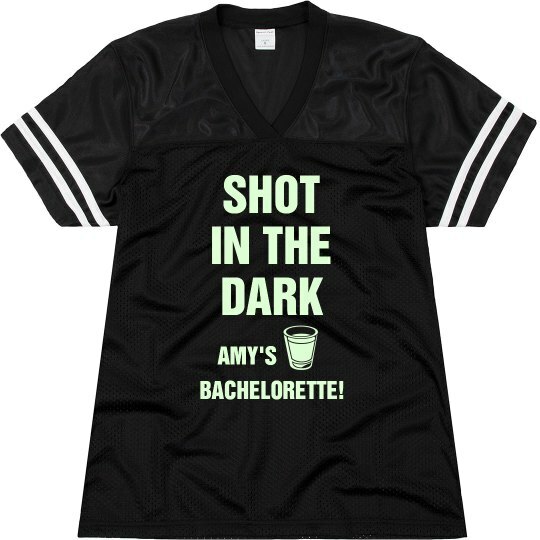 Custom Text: SHOT | IN THE | DARK | AMY'S | BACHELORETTE!